It's fair to say the iPad is pretty popular in this house. Of course I try to keep the usage to a minimum, but there's no denying it's a pretty useful tool to whip out when you just need to get things done. Between the three of my children, we have quite the collection of apps to appeal to their varying interests. But I'd say these five are the most universally loved of them all. All of my children have enjoyed playing these at one time or another. ✚ Pou. Remember those little tamagotchi pets that everyone went nuts for in the 90s? Well, this is the iPad generation's version of that. It's a baby poo. Yes, a poo. Bear with me... He's a cute, kawaii-esque poo, that makes little squeaking noises and wears a bow tie. Still not convinced? You may have to try it for yourself to get the full effect; but all three of my kids love him! ✚ Bluebear food games. It never ceases to amaze me how entertained my children are by these games. I think my daughter has downloaded the majority of the range (they're free, but full of ads so make sure those in-app purchases are disabled!). From ice-creams and cupcakes, to corn dogs and pizza, you basically 'make' the food, decorate it and then tap to eat it. Personally, I find it a tad depressing to spend all that time making and decorating a sandwich and not being able to actually eat it... but who am I to judge? ✚ Clumsy Ninja. I totally get this app. It's adorable. A bit tamagotchi-esque again, but this time you get to train and play games with a little ninja. Simple, cute and so much fun. ✚ Toca Boca Pet Doctor. This is our latest Toca Boca download and it's a big hit. Ayden adores it. You work your way through a Pet Doctor's waiting room, helping all the little creatures with their various ailments. I was amazed at how quickly Ayden could solve some of the puzzles and he was so pleased with himself each time he completed one. I would recommend any of the Toca Boca apps. We've downloaded most of them over the years and my seven year old daughter still plays with them. ✚ YouTube. An obvious one, yes, but hands down the most used app we have. Even Ayden can navigate through it to find his favourite Teenage Mutant Ninja Turtle Playdoh egg video (I still don't get the appeal with those). All three of my children would happily watch YouTube videos from their favourite channels for hours if I'd let them. My daughter and I have a weekly tradition of watching the latest Nerdy Nummies videos together in her bed on a Sunday evening. We both really look forward to it. 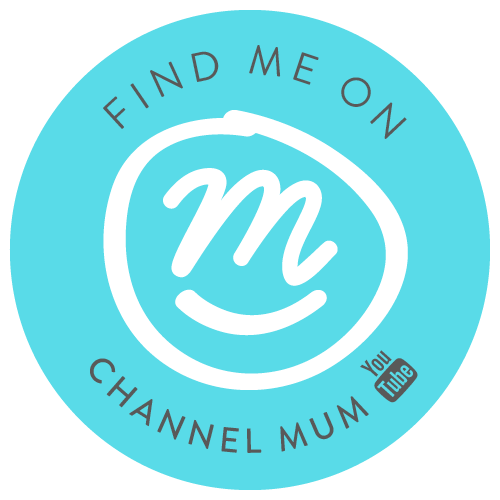 In fact, keep your eyes peeled for a round up of our favourite family YouTube channels on the blog next week. It still surprises me when I hear of kids using iPads, but they're such great tools to help them learn and develop specific skills! It's so weird to think that when I was younger I had a huge brick of a computer that would only let me play games on a tiny screen, and now kids have these amazing resources! I haven't heard of Pou before but it does sound rather unusual but if it is anything like tamagotchi the kids are bound to love it. I used to have some laugh with that Pou app. You're totally right, it's just like a Tamagotchi. We have an ipad mini but to be honest I haven't touched it in forever. I used to it all the time but then gave it to hubby. He mainly uses it and Matthew might use it the odd time for Netflix or watch one of his interactive story books from Thomas the tank engine. My boys are too old for these apps but my niece and nephew are at just the right age. Thanks for the heads up I will be taking a closer look.